To edit Word, Excel, PowerPoint, or OneNote files on your iPhone you need to install the apps and sign in with your work or school account. If you don't have any of the Office for iPhone apps installed, download the apps from the App Store. On the Sign in page, type your work or school account, and then tap Next. 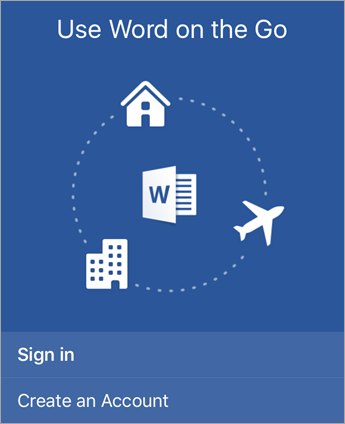 Tip After you complete the sign in process on one of the Office apps, your work account and the OneDrive for Business service is automatically added to the other Office apps installed on your iPhone. If you have any questions or need support, please contact us.